Discussing the potential meaning of the Outlast 2 endings. Much like its predecessor, the endings in Outlast 2 leave you feeling little closure. You never find out how the story of Blake and Jessica ties into the events that take place in the village, and Jessica’s suicide remains to be a tad bit suspicious. Despite all these loose ends, we can still use all the evidence we have to our advantage and come up with some solid theories. Here are a few of our thoughts on some of the major plot events, and you can also check out our complete summary and explanation of the story here. We discuss topics in this article that include suicide, murder, and death. Please do not continue if you are sensitive to these themes. You can get one of two outcomes during your playthrough of Outlast 2. While the results are nearly identical, something you do during the game will trigger a change in Jessica’s appearance when you find her in the school cafeteria at the end of the game. One version of Jessica looks normal with no indication that something terrible has happened to her. The other version has a harsh rope mark around her neck with a pale blue hue to her skin. We’re still unsure of how to achieve these variations but we’re sure it’ll give us insight to what really happened to Jessica after you left her with Father Loutermilch at school that day. As Blake begins to lose his mind in Outlast 2, we see a few different takes on what happened to Jessica Gray. 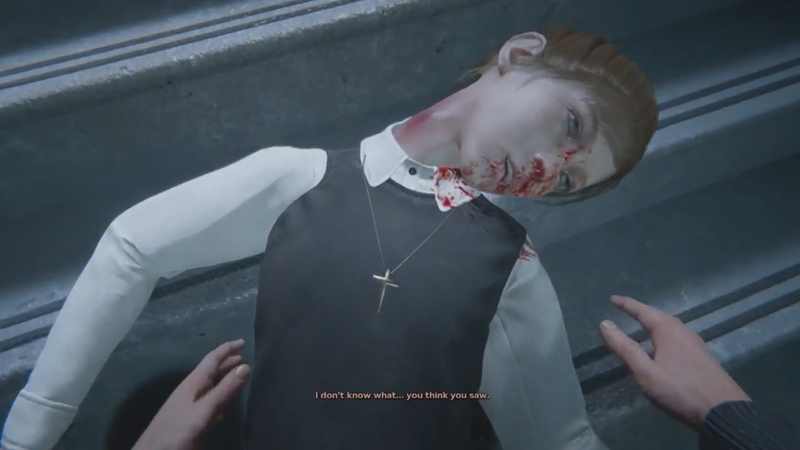 In one version of the events, you follow Jessica’s screams to find her with what appears to be a broken neck as she lays injured on the staircase. In another vision, you find her hanging in the hallway after an apparent suicide at Blake’s old Catholic school. Either way, it seems as though there is strong evidence against her taking her own life. Most signs point to her murder at the hands of Father Loutermilch. Near the end of the game, you’ll witness your wife Lynn give birth to a baby. The entire time she makes concerning comments about how it doesn’t feel right and how unnaturally painful it is. Once she’s delivered the newborn, she says the words, “There’s nothing there...” right before her death. This stirs up a lot of questions, with the biggest one being, “What happened to Lynn?" Did she really give birth or is this all a figment of your imagination? 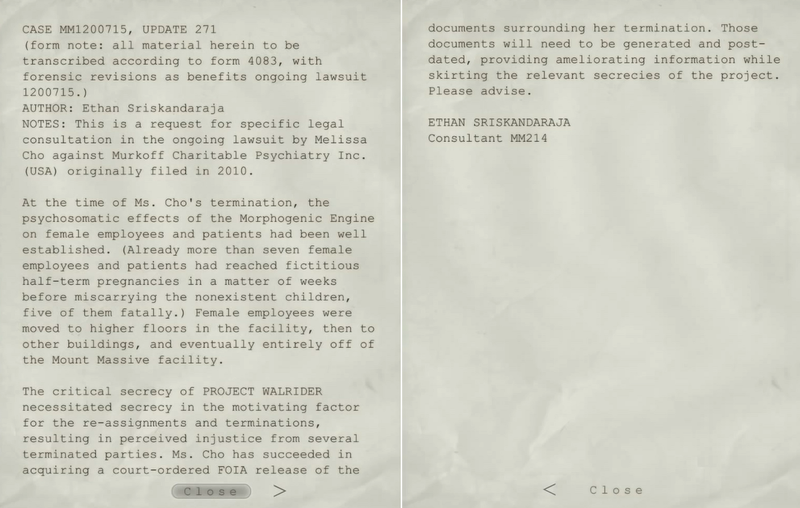 If you played the Whistleblower DLC for the first Outlast, then you might remember a Document called Gender Selection in Mount Massive Contractors which included details about women developing psychosomatic pregnancies when exposed to the Morphogenic Engine. These phantom pregnancies would result in miscarriage and death. Sound familiar? We would love to know what your thoughts are on the Outlast 2 endings in the comments. For more a more detailed examination of this game, follow our ongoing Outlast 2 Walkthrough and take a look at our guide to all the Document and Recording locations.